Since Valve took over the reigns of DOTA, the company has since evolved what used to be a mere Warcraft map into its own platform and game client via Steam, evolving one of the currently most popular online games played globally into an even larger phenomenon. One of the biggest additions was its Diretide event to celebrate Halloween, introducing an entirely new game mode followed by new tactics and strategies, challenging us at first then rewarding us with the top collectibles in-game. "Misery piled on misery! As the cold closed in, how we looked forward to Frostivus. Instead we get The Greeviling! The shops have been plundered, our gifts ripped open, our precious items scattered through the woods by a dire tide of Greevils!" The update will see you battling with these Greevils, or in other words its similar to a PvE (Player vs Environment) mode, to take back all the presents then giving them to other players. Wait, what? Yeah, but after all, tis' the season of giving isn't it? Who knows, you can always get a present back from your fellow players! 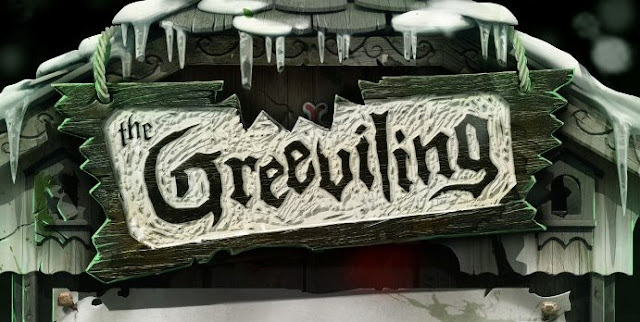 Till then, here's to a Merry Greeviling!